I have recently been working with a new manager who is just learning about her center. She’s bright, enthusiastic, experienced, has great critical thinking skills, the right temperament, and should be a great success. She’s also frustrated, and I’m trying to help her alleviate her frustration, but we are struggling. The reason? Preference Cards. Sounds simple, right? Here’s the problem. The center is fairly new, and due to growing volume, has been relying on prn and agency staff to care for patients. The physicians, who seem easygoing enough, have not written down their preferences, and the prn and agency staff have not been documenting what they have been learning and opening. So, she is left to put together the puzzle, while learning her own job and trying to make sure everything else is getting done. It’s not a completely blank slate. There have been some well-meaning notes on cards that provide a framework, but many subtleties have been missed. We have had to re-invent the wheel in many cases, and it is taking both time and effort. 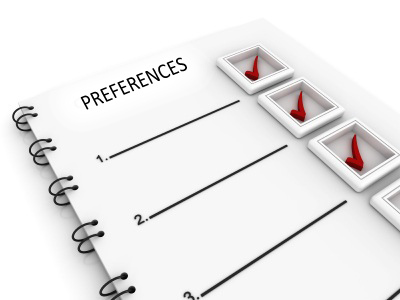 Why are preference cards important? The obvious reason is that that equipment and supplies may not be available for care, presenting a patient safety issue. Faced with these challenges, we’ve problem solved some ways to get the preference cards right, comprehensive and up-to-date. Real Time Changes: Dedicate a white board in the OR to supply management. Any new or changed item that differs from the preference card – put it on the white board during the case. Identify items that should be held vs. open to save from waste. When the case is complete – take a picture of the white board and send it to the manager/coordinator of the case to ensure the card is updated with the changes. Communication: Include the importance of preference card updates with the staff. Assign staff to review and update the cards of the physicians they work with regularly. Identify the top 10 procedures to start. Comparison Shop: With preference card review, indicate which items need to be brand vs. generic. As an example, a physician may have a specific gown, suture, and glove that is a must have, but you may be able to shop other items, leading to cost savings. Keep it Simple: As an example, there is no need to have five cards for knee scopes. Additional procedure needs can be defined and added. As an example, for meniscal repair, open “x” and hold “y”, and for a menisectomy, open “z”. Make it a Quality Study: Communicate the process with time frames. Provide a framework for the process. If you just indicate, “Everybody update all preference cards, and have them done by July 15th”, the process will probably fail. Work as a team to define the process, goals and time frames, so that everyone is bought in and participates. 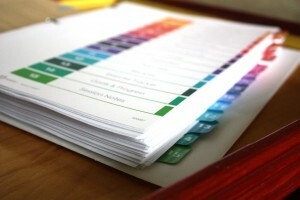 Example: The Preference Card update process completion goal is 60 days. Team assignments have been made for specific physicians. Each team will use an OR and white board to review and update each card and update 2 cards per week. Changes will include evaluation of more cost-effective products where appropriate. The updated cards will be reviewed with each physician for approval. The team will meet bi-weekly to review what is working and challenges improve the ongoing process. While you’re at it, review your Custom Packs: Is there an item being wasted regularly, or only used on an occasional case? Key the staff to communicate, stock the as-needed item separately to reduce your custom pack costs. Even though the process may seem a bit daunting, when complete, the result will be better efficiency, happier staff and physicians, decreased costs, and safer patient care.